- weekly group coaching calls for your entire pregnancy... and much more! Please note: Payment plans are available and can be tailored to suit your financial situation and the timing of your booking. I accept cash, direct deposit (bank transfer) or credit card/PayPal . Payment plans can also be arranged (fees apply). If you just need a little extra support preparing for your birth this option is ideal. If you want the reassurance of a doula without the cost of birth attendance, this is a good option for you. I go on call for you from 37-42 weeks and am available 24/7 during this time to help you with any questions you may have before the birth or to talk you or your partner through support and options during the birth. If you choose to ask me to come in during the birth, you get $500 off the Emergency Birth Support Package. My package is not "just" a doula package. It includes a hybrid of doula support and childbirth education and provides support through your entire pregnancy. Transform your entire experience with my comprehensive support! Payment plans are arranged through EzyPay and can be tailored to suit your situation. Please click the button below and complete the booking form (opens in a new window). For more information on the amazing benefits of having a doula click here. I am currently only able to offer my doula services to those within my local area which is the Macarthur region in South-West Sydney. This extends to those within a 30-minute radius of my home (including Campbelltown, Wollondilly and Liverpool/Fairfield areas). 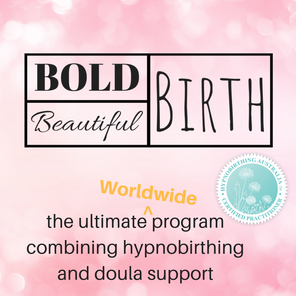 If you are out of the area, I would be happy to help you find another doula as I am networked with over 400 doulas Australia-wide.